The first step in the development of engineering was the invention of useful tools and basic processes. The Ancient Egyptians were able to smelt metals, woodworking tools were already in use and the construction of the magnificent structures which have lasted until our times demonstrates a considerable knowledge in construction techniques. They invented basic equipment, such as the endless chain and the winch. The Ancient Greeks were ingenuous inventors of mechanical devices. Some of their designs were actually used to produce machinery many centuries later. Hero, a mathematician from Alexandria invented two steam engines, one to open the doors of a temple and the other merely as a mechanical toy. Hero studied and recorded the types of mechanical forces and his categories of simple machines (lever, wedge, pulley, wheel and axle) are the basis of Mechanical Engineering. But the potential use of these steam engines was ignored for a long time, both by the Greeks and their successors. The water wheel appeared in the 4th century B.C. This machine did not derive its energy from the force of men or animals, and for this reason it may be considered to be the first real primary engine. 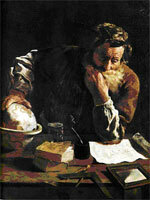 Two centuries later, the Greek mathematician and inventor Archimedes http://it.wikipedia.org/wiki/Archimede studied the mechanics of solid bodies immersed in liquids, which was one of the first scientific studies of natural phenomena. The Ancient Romans, even if they were not as inventive as the Greeks, adopted and improved the Greek tools, using them in the construction of the major road works, aqueducts and buildings. Vitruvius's 10-volume work (De Architettura) on engineering in Roman times, remains a invaluable source of ancient engineering knowledge (1st century A.D.). http://encyclopedie-it.snyke.com/articles/marco_vitruvio_pollione.html#Collegamenti_esterni. Comparable with Ancient Greece in terms of inventiveness was China, but details of the oriental equipment, such as the windmill (used in China at around 400 B.C. ), the double-acting piston-bellows and the wheelbarrow, were not generally known until many centuries later.